Julian Bertino was born in a small town in Ontario, Canada. He has studied guitar with Patrick Roux, Philip Candelaria, Denis Donegani, Dr. Matthew Gould (of Duo46), Louis Trepanier, and composition with Dr. John Gordon Armstrong and Dr. Frederic Lacroix. He has premiered compositions and performed in masterclasses and festivals, including performances for Johannes Möller, Sergio Assad, Marcin Dylla, Bruce Holzman, Adam Holzman, Nicholas Goluses, Lorenzo Micheli and Matteo Mela (SoloDuo), and others. His music is diversely inspired, and he has performed in rock, metal, jazz, classical guitar, mixed chamber and choral ensembles, and as an electroacoustic/electronic music producer and DJ. 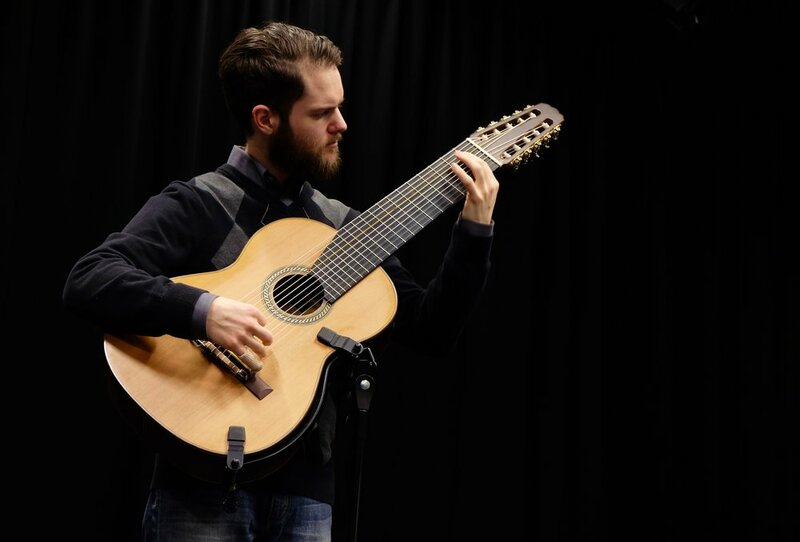 He is currently dedicated to the realization of Zen teachings in music and expanding the repertoire of the 10-String Guitar.